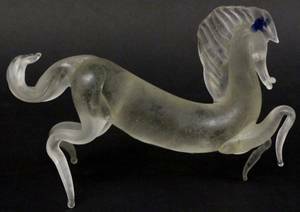 Frosted Murano glass horse figurine depicting a dynamic stallion with blue mark in mane. 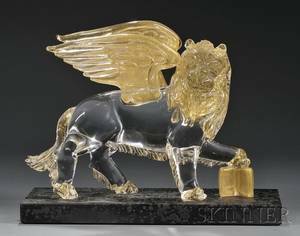 Marked on underneath of animal's stomach "A.VEM MURANO". 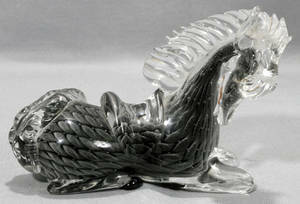 Height 4.4", width 6.5", depth 2". 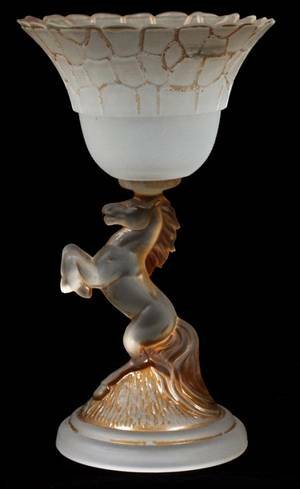 Provenance: From the Collection of Walter and Alice Glenn, Alpharetta, Georgia. 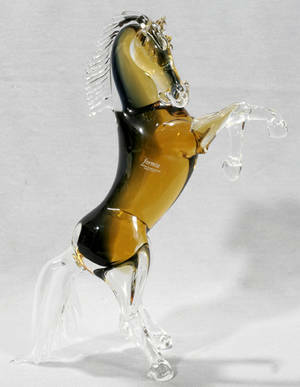 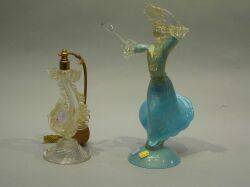 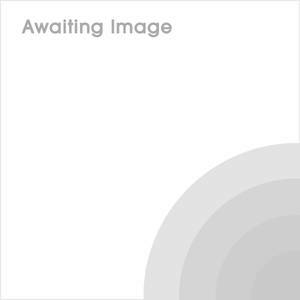 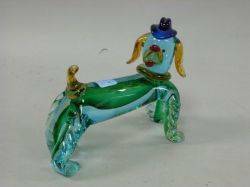 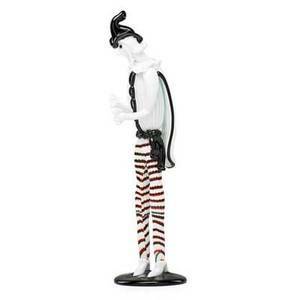 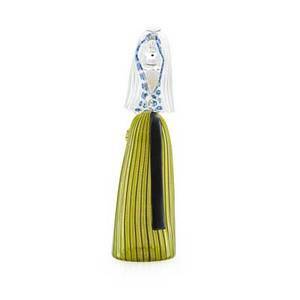 030164: MURANO GLASS HORSE SCULPTURE H 5 1/2", L 7"
Murano Glass Dancing Lady Figurine and Dolphin Figural Atomizer.